Teenagers and young people are the second most at risk group for contracting meningitis and septicaemia. The charity Meningitis Now states that one in four 15-19 year olds carry the bacteria in the back of their throats, compared to one in ten of the UK population. 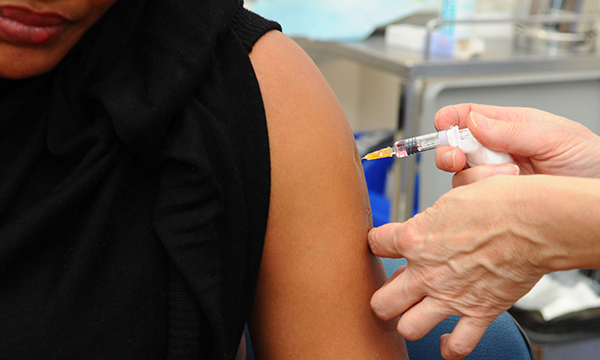 As there has been an increase in the virulent strain of meningitis MenW, the Joint Committee on Vaccination and Immunisation advised there should be a programme to vaccinate all adolescents between 14 and 18 years old. A MenACWY vaccine will stop the spreading of MenW bacteria. A MenACWY vaccine will stop teenagers from carrying the bacteria, therefore reducing the number of carriers and preventing the spread of the MenW bacteria. The MenACWY vaccine was introduced in 2015 via schools and GP surgeries as a replacement of the MenC vaccination. The programme saw an uptake of 84% in some school cohorts. Although, in 2015 only 40% of school leavers from the catch-up cohort had the vaccine and it dropped to 33% in 2016. The GP Contract 2017/18 has been designed to encourage general practices to increase the number of school leavers to have the vaccine. The aim of the contract is to ensure that 17-18 year olds are immunised against MenW. Those who failed to have the vaccine in 2015 and 2016 (students born between 1 September 1996 and 31 August 1998) are still eligible to have it as well as all first-time university entrants until the day before their 25th birthday. Practices have also been asked to vaccinate the same cohort of patients who have yet to have the measles, mumps and rubella (MMR) jab. University students are more vulnerable to meningitis because of living in cramped housing or halls of residence. As universities welcome students from all over the world, students can be exposed to bacteria and viruses that their bodies have not met before. The Meningitis Research Foundation has released an online eligibility checker that calculates if a patient falls into the government’s age cap on receiving the vaccine. Patients can also be directed to this website. Universities can hold ‘pop up’ clinics during induction week and offer outstanding vaccinations. ‘Meningococcal infection causes a life-threatening disease that often develops suddenly, usually as meningitis or septicaemia. It can cause death, or leave people with significant life-changing disabilities. There has been a rapid increase meningococcal disease caused by the MenW strain, over the past few years in the UK. ‘All those up to the age of 25 should be offered the vaccine and GP practices should target those going to university who are at risk, living in university halls of residence where the infection can easily spread. ‘At this time of the year, when young people are about to finish their A levels it is a good opportunity to make sure they have had the meningococcal vaccine, and any others they are due. Enhanced Service Specification Meningococcal ACWY (MenACWY) 18 years on 31 August vaccination programme. Meningitis Research Foundation Online eligibility checker. NHS Employers 2017/18 vaccination and immunisation. Meningitis Now Meningitis in children and young people. Public Health England Health Protection Report. Public Health England Guidance on the prevention and management of meningococcal meningitis and septicaemia in higher education institutions.